I would say no. I bought 5 Motions last year and they have been fairly solid. Had some issues with notifications, but was resolved with an autoloader. My biggest complaint from family and employees is the camera. It is absolutely not good enough. There appears to be no successor coming so I will be straying from BlackBerry for the first time in over a decade. adonesc and MuzDownUnder like this. If camera is in no way shape or form a priority, top specs/latest and greatest aren't a must, then in my opinion the Motion is a worthy candidate for use in 2019. My only question is "can you find one w/o paying an arm and a leg for it?". Yes definitely.. Amazon.com has them available. In a word - NO. Just bought a Xiaomi Mi A2 Lite in UK instead of the Motion to replace a defunct PRIV. Same processor, graphics and battery size, slightly better performance numbers and endurance, bigger screen in smaller size. Aluminium body, fingerprint sensor on rear. 4Gb /64Gb, dual SIM plus SD and £150 cheaper. Runs BlackBerry Manager and apps just fine. Android One, so no clutter / bloatware and now on Pie. Last edited by colinstone; 01-01-19 at 08:44 AM. Just bought a Xiaomi Mi A2 Lite in UK instead of the Motion to replace a defunct PRIV. Same processor, graphics and battery size, slightly better performance numbers and endurance, bigger screen in smaller size. Aluminium body, fingerprint sensor on rear. 4Gb /64Gb, dual SIM plus SD and £150 cheaper. Runs BlackBerry Manager and apps just fine. Android One, so no clutter / bloatware and now on Pie. That’s biggest reason why BB VKB devices won’t succeed. The cost to produce structure won’t compete with the BBAndroid licensing fees that have to be paid from BBMo to BB on each device. If a certain volume is reached, maybe that changes, but for now, that’s not the case. adonesc and AmritD like this. Biggest reason is invest in a better camera and more people will pay the BlackBerry tax. Number one complaint, among users and reviewers alike. It needs to be addressed. And by the way, that applies to the keyboard versions as well. if you want a Blackberry with a VKB running Android OS with a mega battery and all the great Blackberry apps then yes . it is correct that the camera isn't great, but if you want to take studio quality images buy a camera . "Impressive photos, in any light." "The camera on KEYone delivers sharp, crisp photos in any light." Is either of those claims consistent with the experiences of those who purchased either of these devices? I don't think so. My point is even BlackBerry Mobile recognizes the camera is an important aspect of selling a smartphone. It's time to truly deliver on it rather than hide behind false claims and gimmicks that create an illusion of progress, such as dual camera. No it won’t. The BBTax will always make any BBHardware cost more than any same non-BB device with same even flagship specs. It’s been proven over the last ten years that people won’t pay extra for BBAndroid or various other security or BBhub design software preferences. That’s why VKB struggles compared to PKB in sales. The only way to offset the BBTax is to sell enough PKB hardware that people are willing to pay the entire tax just to get the PKB form. Since BBAndroid is same across devices, I would attempt educated guess that once minimum device level accomplished, BB charges BBMo low variable per unit cost per additional devices. The problem for BBMo is hitting the minimum quantity while keeping ASP high enough for carrier interest and per unit profit high enough for carrier interest and not running out the cash position. Your argument is to build a Buick or Cadillac trim level within the Chevrolet line. BBMo problem is they’re some import manufacturer that’s licensed the Pontiac name from GM, still competing with Ford, paying GM for the name and figuring out how to sell Pontiacs when even GM couldn’t. Pontiac chooses Solstice two seater model for the niche doesn’t sell a lot compared to econo models dominated by yet other manufacturers. It’s niche is convertibles and you’re arguing for a turbo or V8 model instead of the underpowered motor it sold based on price. It can only produce one engine model. It then makes a cheaper hardtop version so the better motor isn’t the option for it either. Nobody argues that nicer camera isn’t wanted. At this point with all problems regarding sales, isn’t needed. You’ll lose more sales due to higher pricing, than you’ll gain from better capabilities or processing. Look at it this way. Everybody compared Key2 to Essential Phone at introduction. Essential had camera issues that were supposedly fixed. Yet device only sold at fire sale prices. Essential just announced they’re outta the phone business. The only reason that people are buying BBMo devices is the PKB and the customers if only choosing one feature to be focused or improved is the PKB and it’s software. Everything, not just the camera, that isn’t PKB related is compromised and has to be “just good enough” for average people. The Key2 LE seems to be accomplishing that because it lacks capacitive PKB and for the lower price, seems to be acceptable for more people. Two best selling Android/IOS smartphone models of all time, were 2013/2014 and no spec improvements since then have matched those levels. The industry has plateaued and price has become primary focus with features secondary concerns. Pick one feature you’re known for and make sure the others are good enough as cheap as possible while maintaining profit margin. It’s no longer 2013 and scrambling for volume marketshare without specific focus. Last edited by Chuck Finley69; 01-01-19 at 11:14 AM. Will a Motion last two years in terms of reliability and software updates? TCL has a long way to go before I would want to by one of their VKB phones. I like the BB virtual keyboard but that is not an essential need. Chuck hit the nail on the head. In the VKB market, BBMo doesn't offer anything that the market really wants, except a higher price for the same specs. The security features don't seem to matter enough, or are not perceived as worth the price. A pity because, "hardening the kernel" as they say, probably adds costs, as does paying for the BB brand. The only reason I bought a Motion is that I'm brand loyal and will buy almost any phone with the brand on it. Pathetic, isn't it? Yes, but there are not enough of us to justify production. I just wouldn't want to own a Xiaomi or a Huawei even though TCL is "just a Chinese built phone. Going back to the question, if you want a VKB with the BB logo on it, I wholeheartedly recommend it for its battery life and general functioning and the lovely industrial design and feel of the device in your hands. If an average camera doesn't matter, go ahead!! adonesc and Mansuet like this. Yes. There deals to be had with carriers . The only problem is that Carriers lack selection. Flagships from prior years can be good buys. I will say this about BlackBerry. CrackBerry offers the best support blog amongst Android phones IMHO. Last edited by Bbnivende; 01-01-19 at 11:37 AM. My argument is simple. It's that BlackBerry Mobile needs to correct a longstanding deficiency with the BlackBerry brand if they are going to survive, and put an excellent camera in the phone. The camera always was and remains the Achilles heal of the BlackBerry brand. The other issues were addressed by simply switching to Android. You seem to have a way of making this complicated by trying to rationalize their actions with excuses. Even BlackBerry Mobile itself is trying to sweep this elephant under the rug. Read their own product literature. Excuses (and especially unsubstantiated claims) won't sell phones or prevent customers from taking their business elsewhere. Blackberry is hardly likely to say the camera is not up to spec. It isn't... the camera has been an issue from day one and no amount of software will fix it primarily because the hardware (camera) is not the same as used in the Keyone. It can take good images , but it is hard to take great images consistently . Consumer perception of BB has always been lackluster at best since it was never a consumer brand, ever. The iPhone was the first smartphone made for consumers with some Android model close behind. The only identifiable feature of BB from it’s very inception to it's brand demise is the PKB feature. It’s so inextricably linked to PKB that it’s the only version of phone that BB continued to sell with any success. All VKB phones going back to Storm have failed because they’re stamped with BB on the phone and box it comes in. BB was so very successful at being the PKB device “not for the common person and pay extra for BIS monthly access” non-consumer brand, that it stuck for last ten years. I love BB and BB licensed software phones and have learned to accept they are not and never will be mainstream devices nor accepted that way. Accept them for what they are and not for what you wish they could be. There’s not enough of us, maybe ever, to expect more yet. However, PKB is the only area that OEMs aren’t competing so, BBMo needs to increase that minor strength until feature #2 on the current demand list matters. Even then it may be something else. Dual speakers, OS level gap, screen resolution or something else identified with BBMo internal sales research and data? I have no idea but they have far more reasons ($million$) to succeed than you or I have for their success. 1. There are about 20 people on the planet who are truly experts at camera post-processing on smartphones - and about 15 of them work for Apple, Google, and Samsung. That doesn't leave many to go around, and all of these people make $5M/year+. Getting any time at all from these people is difficult or impossible, and even when you can, it's very, VERY expensive. 2. The quality of the post-processing is also heavily dependent on the GPU of the phone (part of the SoC). BB has been using mid-grade GPUs, and even though post-processing can be improved from its current state via software, it's never going to complete with flagship-level phones that have far better GPUs - part of what you pay for with those phones is their photo post-processing abilities. When you are selling 100,000 of a given phone model, then if you spend an extra $1M on development on it, then you increase the wholesale costs by $10 per phone - BUT, you increase the RETAIl price of the phone by $40-50. That's because your distributer and your retailer is going to mark up that price increase (standard selling practice for anything). BBMo has to do this kind of math before they invest more money into a project. If spending $1M would help them sell 500,000 phones instead, then they could spread out that cost per phone down to $2, which means a $10 per phone retail price increase, and THAT might be manageable, and so it might make sense to spend the money. But if spending that money means only selling 150,000 instead of 100,000 (a 50,000 increase), then the numbers don't work and they can't justify spending the money. 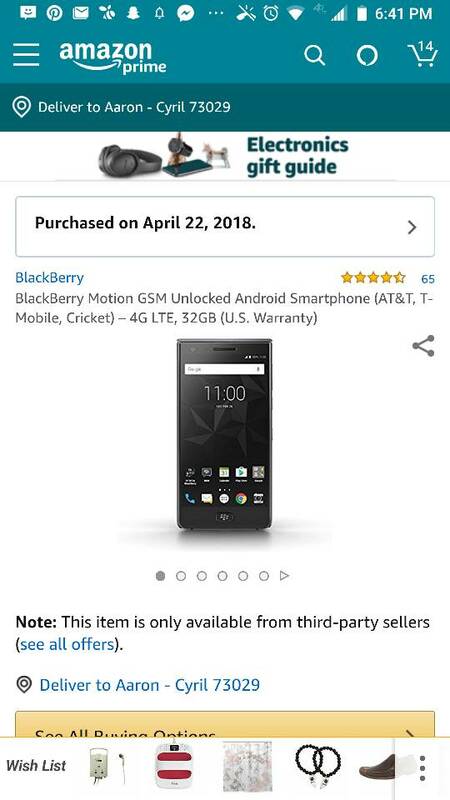 As it is, BBMo is probably paying BB $20-30 per phone, but that means a retail price increase of $100-150 over similar devices - and that is in fact exactly what we actually see. This puts BBMo at a serious price disadvantage already, and makes them much less likely to do anything that will increase the price further.